National Grange President Ed Luttrell and South Carolina State Grange President John Hammett, Sr. spoke on national and local issues during a press conference held Saturday at Shealy's Barbeque House in Batesburg-Leesville. Leading off, National President Luttrell described a Grange letter to Federal Communications Commission Chairman Julius Genachowski expressing deep concerns that the Commission's policy focus is shifting from developing a national broadband plan encouraging universal deployment and adoption of broadband services to underserved rural, farming, and tribal communities, to a policy focused on regulating broadband network management practices. Luttrell stressed that the Grange believes deployment of broadband across the country, and especially in rural America, should be the Federal Government's number one priority. He stated that the Commission should not be burdening "technology that it has little first had knowledge using" with unnecessary management regulations. In November 2009 Luttrell of Sandy, Oregon was elected to his second two-year term as National Grange President. He has made rural access to affordable, reliable and competitive telecommunications technologies a priority of his administration. "Rural America needs, and deserves, the same access to new telecommunications technology that has been afforded to our urban neighbors. The Grange believes national, state, and locals laws that govern these technologies should remove the regulatory uncertainty that has deterred advanced telecommunications investment in rural America," he stated. Moving on to issues closer to home, South Carolina State President Hammett called for state legislation prohibiting the use of cell phones while driving. He pointed out that the National Safety Council estimates that at least 1.6 million car accidents per year, 28% of all yearly car accidents, are caused by drivers talking on cell phones. Such behavior is especially dangerous in rural America, which accounts for 65% of fatal accidents, most occurring on rural, two-lane highways. "At least seven states and the District of Colombia have laws banning the use of hand-held cell phones while driving. It is time for South Carolina to get on board and prohibit the use of cell phones as well," Hammett declared. Founded in 1867, the Grange is the nation's oldest rural advocacy organization. With over 200,000 members, it is active in Washington, DC as well as in the capitols of 40 states across the country. 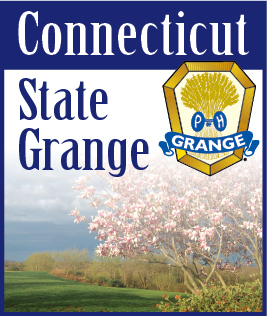 Under the Grange system, the setting of legislative priorities for the coming year starts at the local level, moves up to the state level, and is finalized at the annual national convention held every November. The top national priorities are published in the Grange's annual Blueprint for Rural America.